This blackberry summer salad is the perfect mix for a hot summer’s day. I used to think people were strange when they ordered salads with fruit on them. The thought of fruit, with lettuce, and meat made me kind of gag. But then I realized there must be something to it, so I gave in and gave it a try. 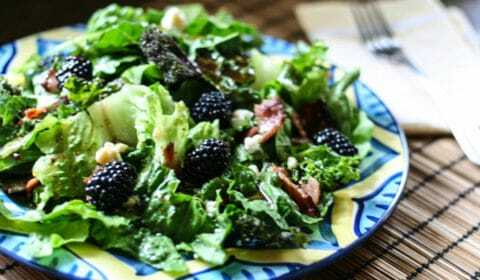 The mix of the sweet fruit with the feta cheese, combined with the savory bacon and tangy dressing makes this summer salad TO DIE FOR! I tend to prefer romaine hearts over spring greens. Baby steps, right? 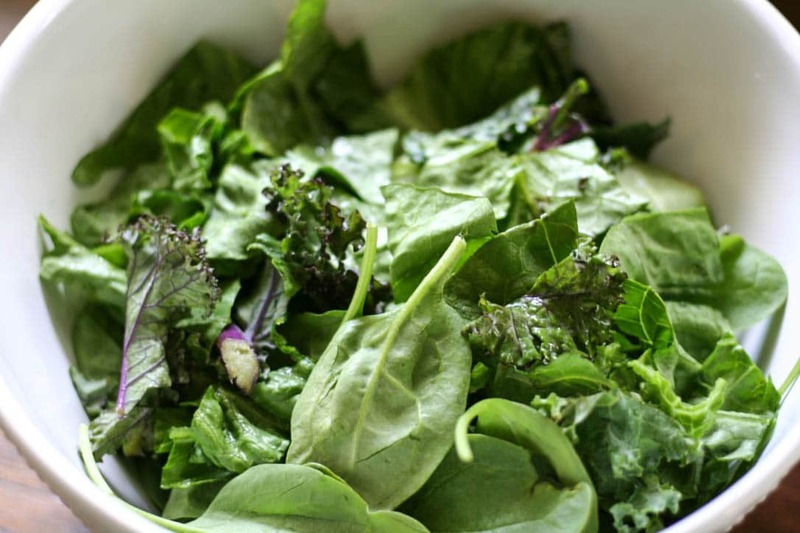 Spring greens and arugula are just a tad bit too close to the grass family for my taste buds. 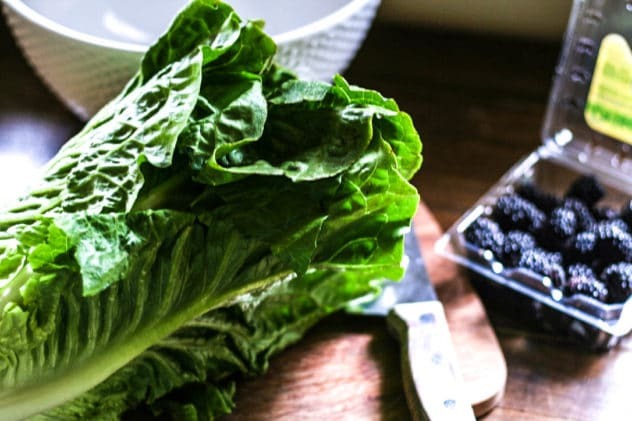 Romaine hearts give you a nice, leafy green without too strong of a flavor. I also added in organic spinach and purple rainbow kale. I have finally branched out and added in kale. I have to admit, kale tastes much better than it smells! 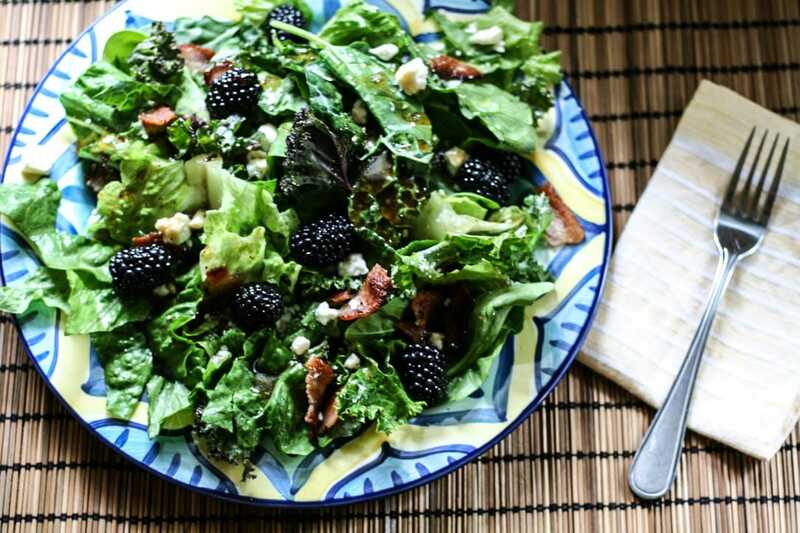 The best part of this salad, in my opinion, is the savory bacon and feta. My husband despises feta but it is one of my favorites! 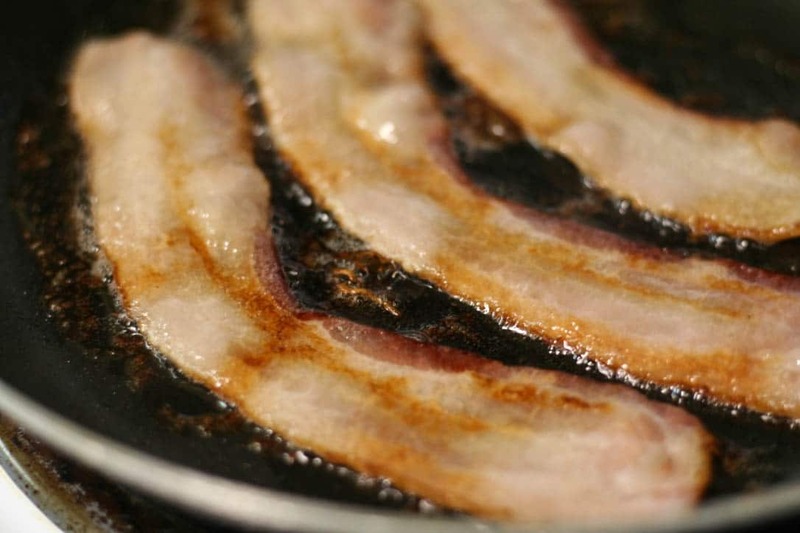 I always use Pederson’s nitrate free bacon that I pick up at my local Sprouts. The tangy dressing for this salad is super simple and you can skip all of the high fructose corn syrup and other additives you would find in most salad dressings. 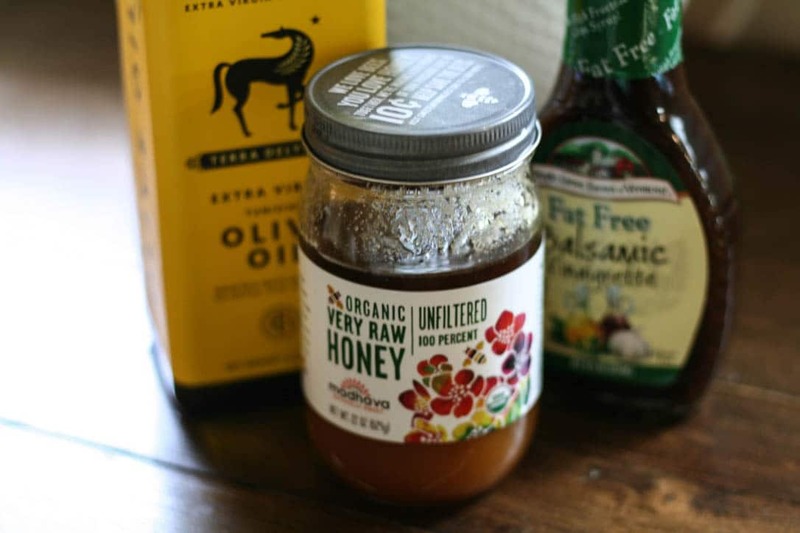 Olive oil, balsamic vinaigrette, and raw honey, that’s it! I mix up a couple batches worth and keep it in a mason jar for the week. 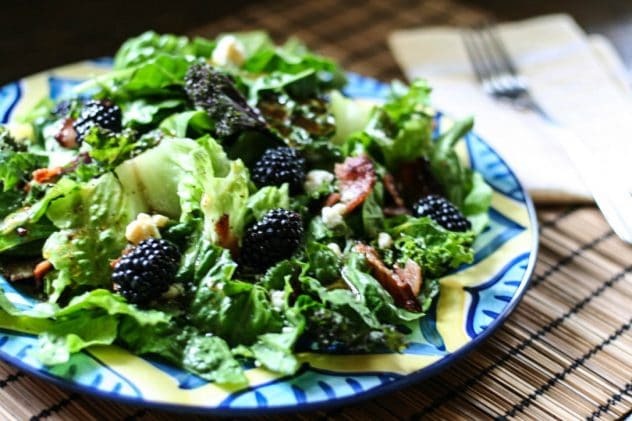 Make your bed of greens, sprinkle on crumbles of bacon and feta, add blueberries then drizzle on the sweet vinegar and oil dressing. This salad turned out so good the hubs even approved AND it became my lunch for the week!